I served 9 years in the military, consisting of 2 deployments totaling 27 months, 5 duty stations in 3 different counties, and a network of close friends that I call brother. In 2012 my time with the military came to an end, and I exited the military to start another chapter in my life both professionally and personally. I stayed in contact with a few military brothers and sisters, but the distance between us made it difficult to meet regularly. Working as a civilian, I began to miss the camaraderie, the family, the brotherhood created while being in the service. It wasn’t until 2016 that an opportunity revealed itself to reconnect with a brotherhood similar to that found in the military. I heard about the Massachusetts Masonic Open house and asked a few of my coworkers about it. To my surprise one of my coworkers was a Freemason. With knowledge of my grandfather and step-father being Freemasons, I always had a desire to follow in their footsteps and join the Freemasons, but the constant PCSing of military life made joining a difficult task. My Freemason coworker invited me to attend the open house with him, so that I would know at least one person, and I am grateful that I went. Upon speaking to the gentlemen at the open house, hearing the history of Freemasonry, and having my questions about Freemasonry answered, I decided that I wanted to be a part of the fraternity. I filled out the application, gave them my time, and within a few months I was starting my journey into Freemasonry. I was uncertain that I would ever be able to call a civilian a brother, since it usually takes a specific event to form that bond, such as basic, combat, or the loss of a unit member. However, within a few months I found myself surrounded by brothers willing to be there at a moment’s notice, without reservation, should I need it. Not every brother has served in the military, or has deployed to a hostile environment, and that is okay. Every brother has a primary purpose, and that is to make sure all brothers are aware of the familial bond Freemason creates. Whether you are active duty, veteran, or civilian, Freemasonry is for those looking to find lifelong friends, brothers, and a family. 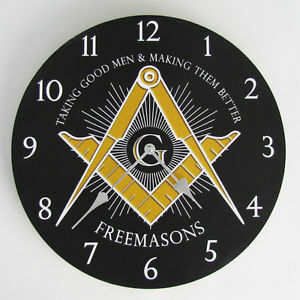 Previous Is Freemasonry the Right Fit for You?